More than half of the money is to oppose Republican candidate Shawn Moody. A Democratic Party-backed political action committee targeting Maine’s governor’s race has topped $1 million in spending, most to oppose Republican candidate Shawn Moody, as part of a coordinated nationwide effort to sway races that could flip congressional redistricting power back to the Democrats. 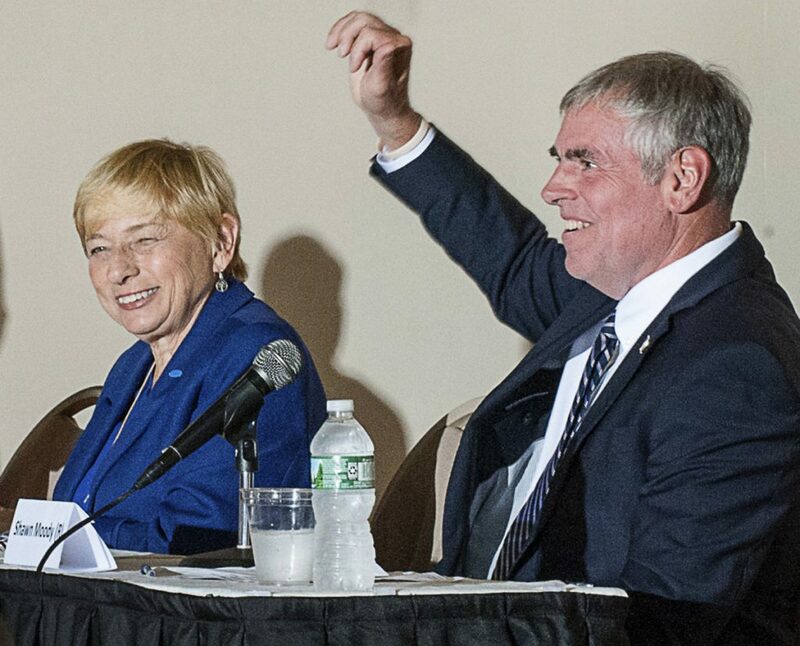 A Better Maine reported spending $343,805 on the governor’s race in recent days, with $264,000 earmarked for anti-Moody advertising, $44,500 for polling and $35,325 for ads supporting Democratic candidate Janet Mills. A Better Maine had already reported spending $675,000 in the race, bringing its total spending to over $1 million. The buy pushes Democratic-backed outside spending in the race to $1.8 million, outpacing Republican efforts by a ratio of 5-to-1. The source of the vast majority of A Better Maine’s donations has not been reported, with only $65,000 from the Democratic Governors Association filed so far, according to state campaign finance reports. The next deadline for reports naming donors is Oct. 5. Earlier this year, the Democratic Governors Association announced it planned to spend $20 million in gubernatorial races in eight states – including Maine – that could determine which party has control over drawing electoral boundaries in 2021. Congressional redistricting is only done once each decade and Maine is among 26 states where the governor has the power to approve or reject congressional maps that will be redrawn after the 2020 Census. DGA officials say wins in Maine and other targeted states could nearly wipe out the Republican congressional advantage if Democratic governors were able to forge favorable maps. Republicans are targeting many of the same states while also hoping to flip Democratic governorships in Minnesota and elsewhere, and protect their turf in Arkansas, South Carolina and Texas. The timing of the ad buys is not unusual, but the level of outside spending in the race is of note, particularly in light of the redistricting issue, said one political analyst. In that race between Gov. Paul LePage and Democratic U.S. Rep. Mike Michaud, the governor weathered a full-throated challenge by the Maine Democratic Party, which cleared the field of primary challengers for Michaud while aligned interest groups spent millions boosting his candidacy in the most expensive gubernatorial race in state history. LePage won over 47 percent of the vote to Michaud’s 44 percent. The Moody and Mills campaigns, polling at a virtual dead heat, have raised roughly the same amount – $1 million – but most of the PAC money in the race so far is from Democrats. Mills is Maine’s attorney general and Moody runs a successful chain of auto body repair shops. Previously, the PAC that had spent the most on the gubernatorial race was Priorities USA Action, which spent $490,346, mostly on social media ad buys. The money came from the national super PAC of the same name, which is a longtime Democratic powerhouse PAC that received $6 million in contributions from Donald Sussman, financier, philanthropist and a former owner of the Portland Press Herald, and $5 million from billionaire business magnate George Soros this year alone, according to the Federal Election Commission. Democrats have far outspent the Republicans in this year’s race. Democrat-backed PACS have spent $1.8 million to the Republicans’ $372,529 – all from the Maine Republican Party in support of Moody.